Absence may make the heart grow fonder, but I'd rather have you here with me. 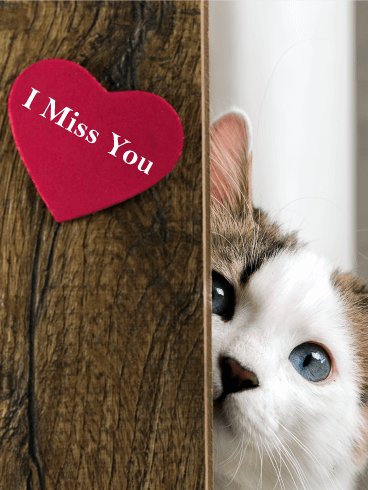 If there is someone you are missing today, send this Peeking Cat Miss You card to let them know. The cat in this card is white and gray with bright blue eyes. It is peeking around a wooden door, which has a red heart on it. 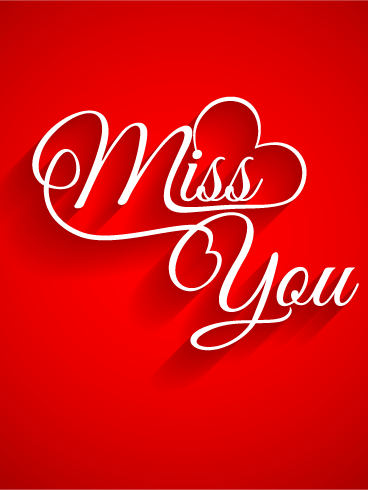 On the heart, "I miss you" is written in white. 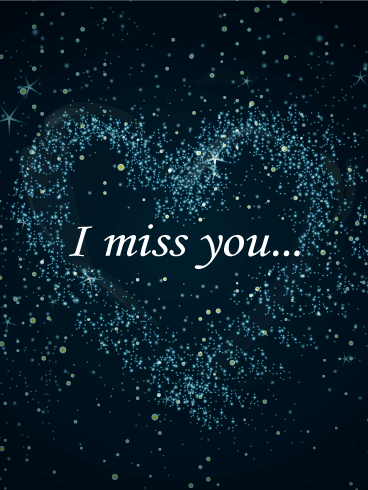 When you miss someone, it's hard to find comfort. Perhaps the only comfort, besides the knowledge that you'll see that special someone again, is that you can share moments of connection with them even if you're far away. Look up at the stars or the moon and know that they're seeing the same moon and stars. They're the same wherever you are the world. And someday soon, you two will be in the same place in the world. 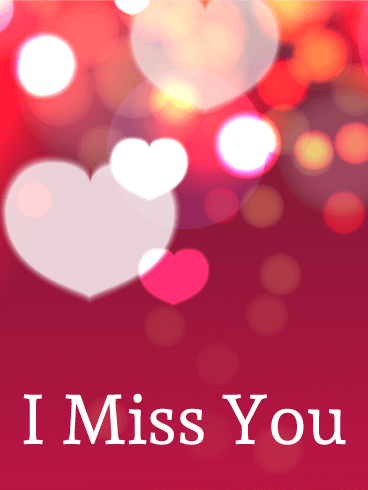 Are you sad and missing someone? 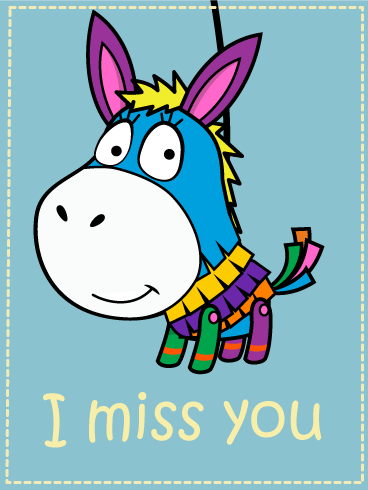 Use the Donkey Piñata on this fun card to create smiles and let them know! The background is light blue with a cream border that looks like stitches. A Donkey Piñata smiles from the center, made with every color in the rainbow. 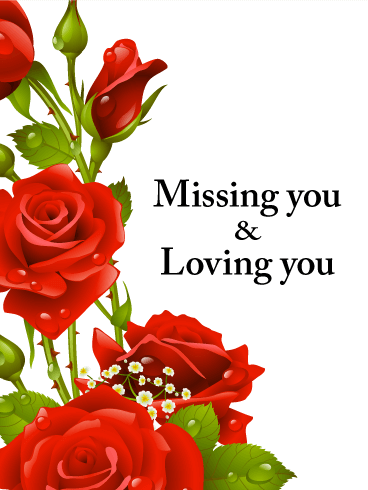 "I miss you" is written underneath in cream, the perfect message to send to a faraway loved one.